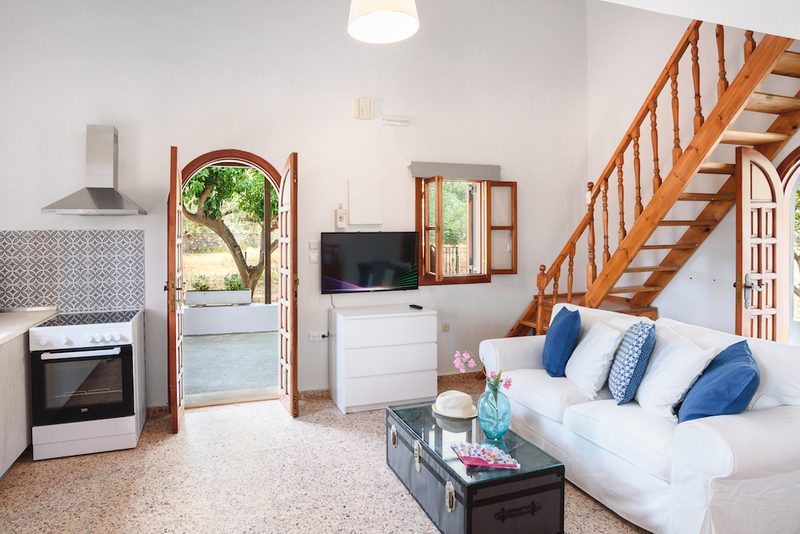 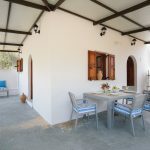 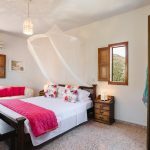 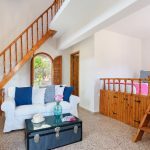 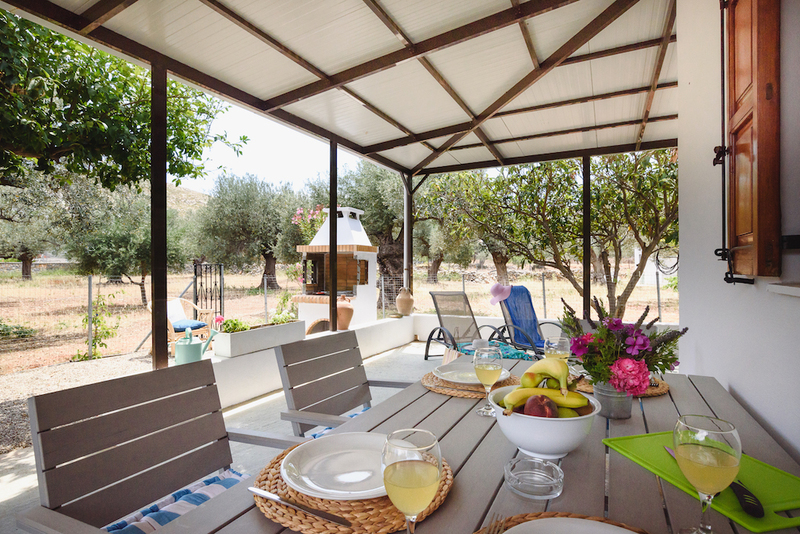 Situated in the shady olive groves of Krana, Villa Viktoria is the perfect choice for guests who wish to enjoy the lively atmosphere of Lindos, but have a quiet haven to retreat to at the end of the day. 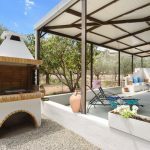 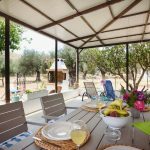 Just a ten minute walk from Lindos Main Square, Villa Viktoria is set in unspoilt and truly tranquil area of Krana, which overlooks the historical Village of Lindos. 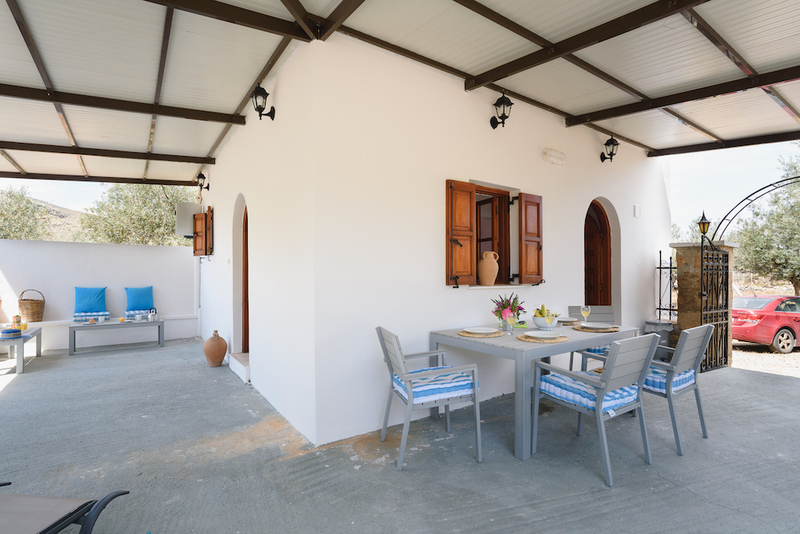 Viktoria offers private parking and a generous outdoor space which is perfect for dining alfresco or even an early morning coffee. 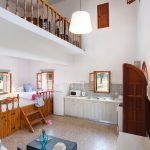 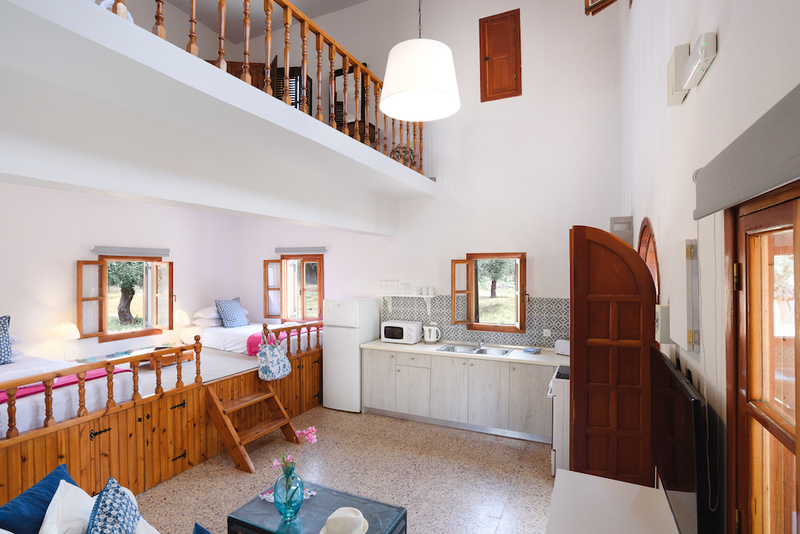 The Villa will comfortably accommodate 4 guests in its traditional Sala and Mezzanine style layout. 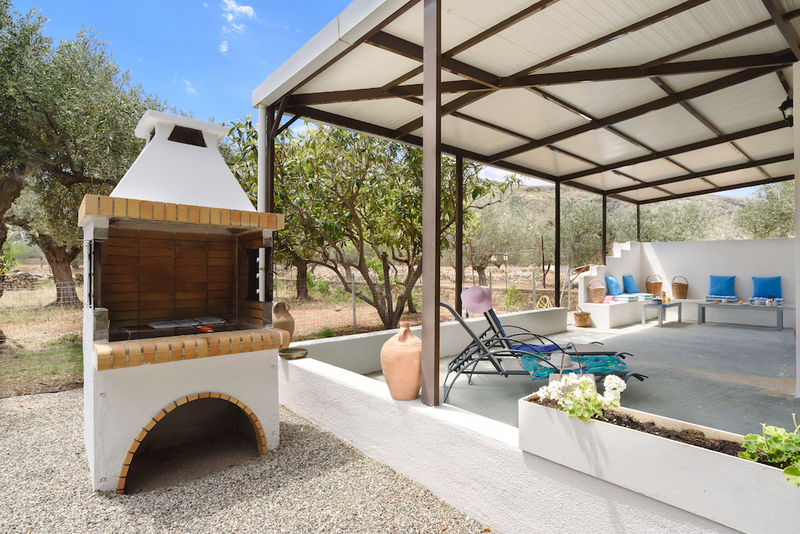 The private entrance to the Villa brings you in to the secure garden area which has a generous shaded patio with ample outdoor furniture. 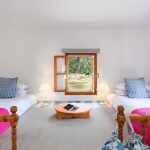 The layout of the Villa itself is a traditional Lindian Sala style with the open plan lounge and kitchen and raised twin banka beds on the ground floor. 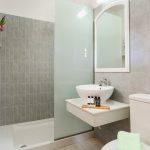 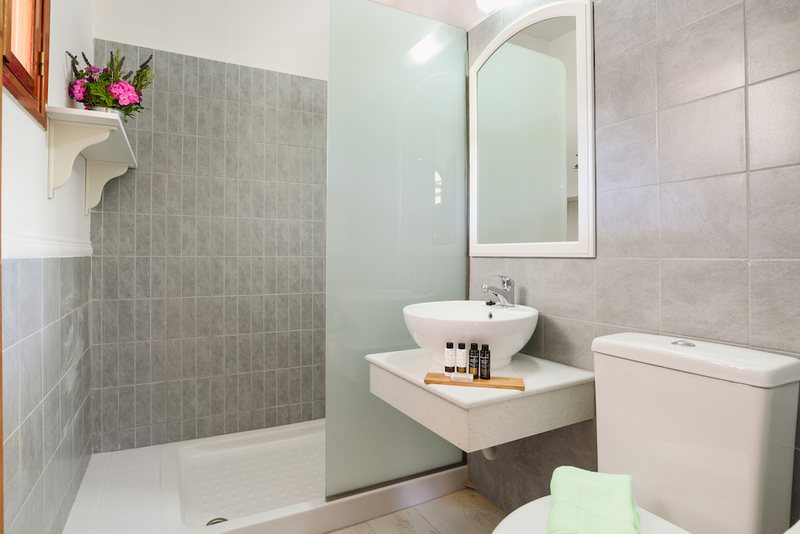 A family bathroom is also located on the ground floor. 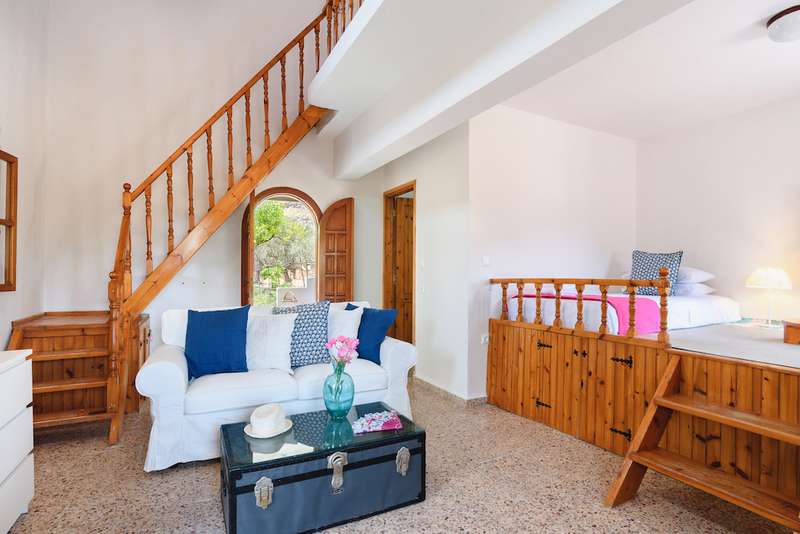 There is an open mezzanine floor which is accessible by the traditional wooden stairway in the lounge. 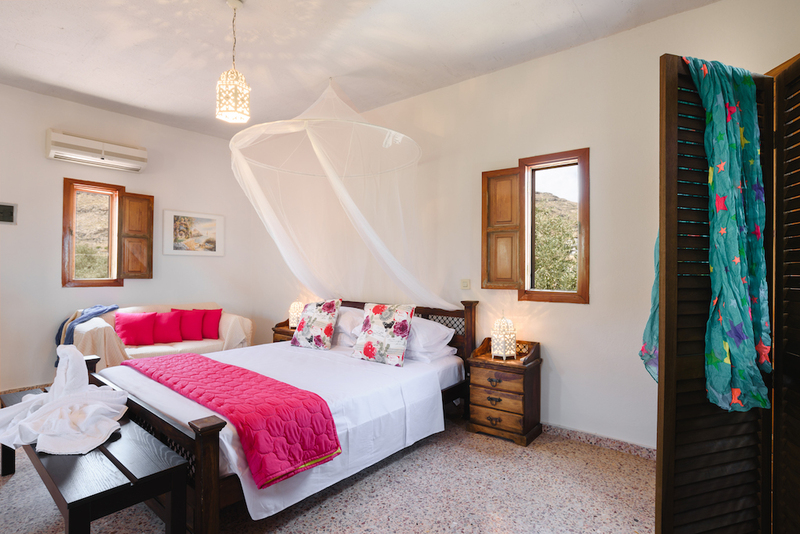 On the mezzanine floor is a generous size with double bed and sea views. The high ceilings make the Villa cool and inviting during the hot summer months and this quirky layout allows guests to experience Lindian living with all modern conveniences.